Loaded up the two brand new, fully charged Q30's. Worked fine. Built my first stainless build ready to analyse the batteries. Pulsed fine. Downloaded escribe. Connected mod (battery charging showed) Updated firmware. CHECK BATTERY...I don't know if the firmware is only expecting Lipo batteries like most dna200's & that's screwed it up? Nothing will get get me back to the old firmware. Which I dont really want anyway. I've tried multiply batteries & none are recognised? So I'm stumped? Do I just return it under the warranty? Or can I roll it back to the previous firmware? Thanks for any help people! Am seriously disappointed. With the new firmware, did you change it to two cell operation? Changed to two cell in the mod tab. But only options are Lipo or LiFePO4? Is this the only option for batteries now? I've contacted my vendor & returning. I'm going round in circles here. I ain't going to update when I get my replacement. Worked fine before the update? Those have always been the only 2 battery choices (along with power supply). You want to select Lipo as they are also 3.7v nominal, 4.2v fully charged. By the way I have a Hotcig DX200 using the 2 x 18650 battery compartment. I'm running the newest test firmware and it's working just fine. 2. Inserting the batteries in the incorrect polarity, thus blowing the on-board fuse. I thought the VT133 was supposed to have reverse battery protection built in, but since I don't own one (I have the VT200) I have no way of knowing for sure. I don't think it has reverse protection. I would test the fuse with a meter and also verify the firmware did finish flashing. I don't think ive blown a fuse? The mods not dead. Just showing empty battery, when i've 2 fully charged Q30s in it. Fired the ss build fine & showed full battery with lightning bolt for charging... until I upgraded the firmware. Now empty battery, not showing charging, not recognising the atty? Can't analyse the batteries either for them same reasons? If I could roll back the firmware at least I'd be back to square one! Yeah this is part of my problem, only had escribe a day. Upgrade firmware is this one giving me trouble. 2016-02-23. is the only file i've got? The original firmware that came on the mod (aug 2015? if i remember correctly) is not there? Would of thought there would be somewhere to download it from, but i can't find it! Could someone send me it please? Get the one that says "RECOMMENDED"
Uninstall the EScribe that you have and install this one. Get the one that says "RECOMENDED"
Thanks for that. Never thought to download an earlier version of escribe for it to be tied to an earlier version of the firmware! Serves me right for clicking the 1st link on google for escribe download. I'd just found the 2015 firmware on the wismec site & added it to my dna200 file when you sent me that link. So it turns out I was wrong. Not a firmware problem. Hardware by the looks? Still same battery problem with older firmware. Both batteries showed on the 'Device Monitor' but not on the mod. At least I've solved it. Vendor said no problem, so i'll be posting it back tomorrow & i'll have to wait another week to have a play. 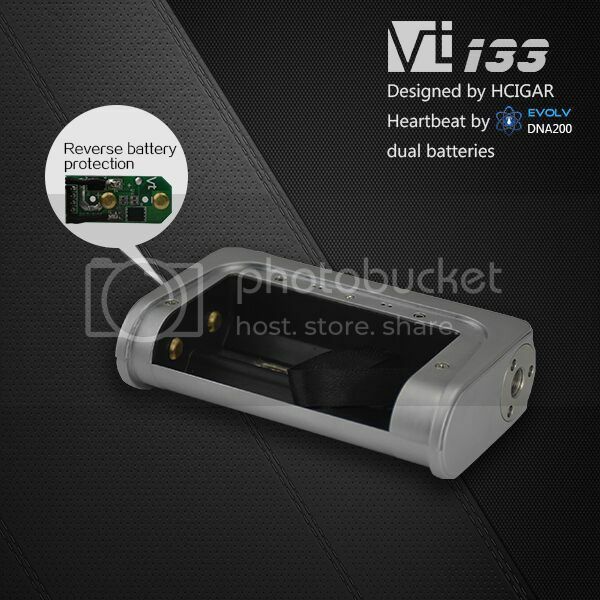 Does anyone know whether or not the Vt133 has reverse battery protection, as advertised? I'm wondering that myself after this thread. I know my Hotcig DX200 when using the 2 x 18650 battery compartment doesn't so I'm very, very careful when inserting my batteries. Measure twice, cut once or buy spare fuses as the saying goes . I'm just messing around, but I am curious as well. Ya so far not impressed with this Vt133 in the least. It seems very under-powered compared to my others and just can't figure it out.